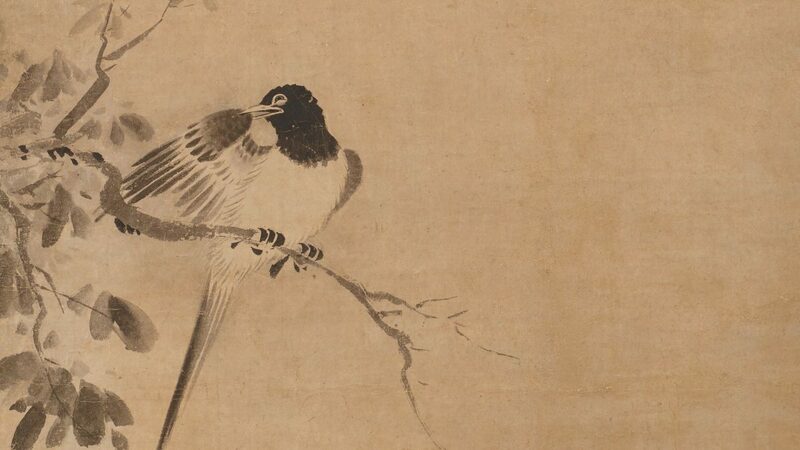 Birds and flowers are popular motifs in all types of Japanese art, but it was in the 1300s that Japanese painters began painting pictures of these subjects in ink alone. Painters took up the brush to create small vignettes of nature in shades of black on paper or silk, inspired by Chinese paintings then being imported to Japan. The expressive potential of ink has meant that the popularity of monochrome bird-and-flower paintings has never waned. This exhibition highlights several dozen monochrome bird-and-flower paintings in a variety of formats, from folding fans to folding screens, from the 1400s to 1700s.